A house with a wood deck can add value to a home as it creates a gathering place for various family activities. It can also serve as a connection between the structure of the home and the larger backyard area that ties everything together. 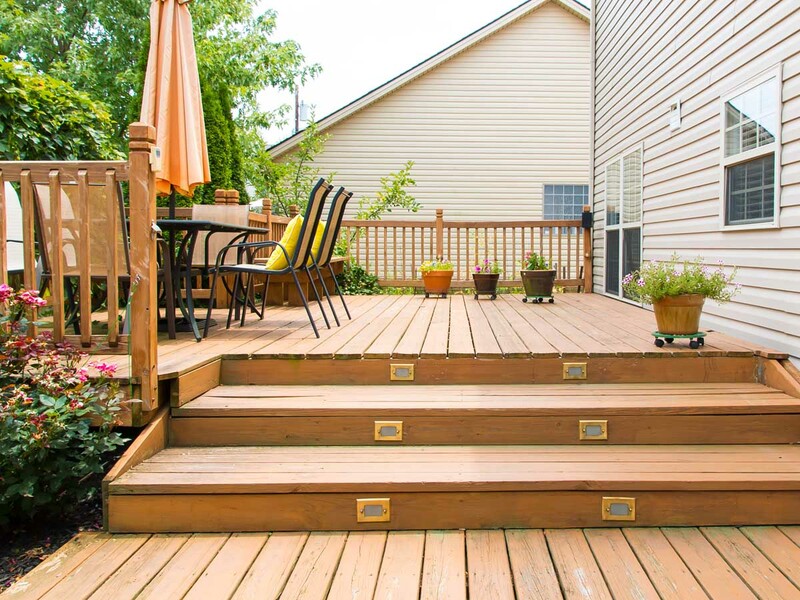 A few big factors to consider when deciding to put in a deck is the slope of your lot, the connection points for entering your deck from the home, and the overall size and shape of the deck. Some homes have steep slopes where the only way in and out of the deck are from the home, while other decks have the ability to exit to the rest of the backyard, perhaps by a few steps or a full stairway. Various building materials are the primary items to estimate and plan for with a wood deck. Understanding the quantities based on the size and shape of your deck is one of the most important factors when it comes to the overall budget. The orientations of where your home sits on your property and the slope of the property where you want the deck have a big impact on the complexities of this project. Generally speaking, the more an area is flat, the easier it is for a deck. The steeper the slope, the more complex where formal engineering may be required. You should at least sketch out the general size and layout of the deck and where it will connect with the home and if there is a way to exit the deck into the rest of the backyard. If you have very strong carpentry skills, this could be a DIY project. If you don’t, and if the deck is complicated, this is probably better suited for a professional to install you deck. Here is a video for Bob Vila on building a deck.